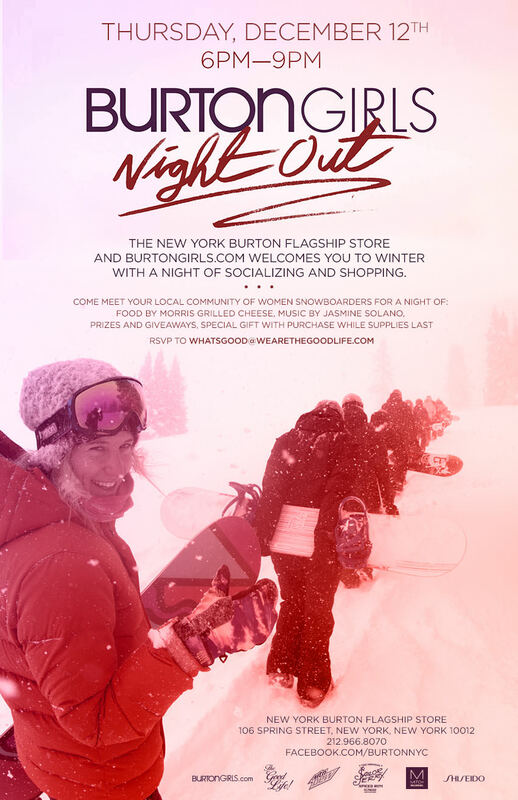 Burton’s annual Girls Night Out will be held at their Flagship store in SoHo on 12/12 … The event brings the ladies together and celebrates the Shred Betties! This entry was posted in Events, Lara's Blog and tagged Burton Flagship Store, Burton GNO, Burton NYC, Girls Night Out, Jasmine Solano, Morris Grilled Cheese, NYC Snowboard event, Paul Mitchell, Shiseido, SoHo, Spa. Bookmark the permalink.